At home on the West Coast. Maple Ridge's Loon Lake Lodge and Retreat Centre offers corporate retreats, wellness weekends and youth school groups a nature-based destination that's less than an hour from Vancouver, British Columbia. As a proud part of the University of British Columbia, we're designed to deliver inspired learning, to foster personal growth, and to celebrate our shared natural world. At Loon Lake Lodge and Retreat Centre we connect the mind, the body and the soul - that's our purpose. Loon Lake Lodge and Retreat Centre is a natural venue for fresh starts, re-alignment and team building. We work with every group client to provide an experience that is designed around their unique needs and interests. Boardrooms, classrooms, break-out rooms and private dining rooms, we have everything you need for your next company retreat. Our serene lakeside setting is ideal for yoga retreats and fireside wellness seminars. We offer heated floors, health-conscious meal planning, and scalable accommodation options provide practitioners with budgetary choice, convenience, planning assistance, and a mindful classroom setting. We invite you to bring your next overnight school, youth, or special interest group to Loon Lake Lodge and Retreat Centre. Take advantage of our popular outdoor adventure options, or add our innovative and instructed, Wild & Immersive curriculum that blends fun around key deliverables, and priced at a remarkably low day rate of $15/youth. Some conditions apply. Those that visit often refer to us as 'the Lower Mainland's best kept secret'. Sitting on the Vancouver side of Golden Ear's Provincial Park, Loon Lake Lodge and Retreat Centre is a local destination for quiet reflection and a home for fresh air, clean water, and tall fir trees that frame the majestic Garibaldi Mountain Range. We offer guests profound natural connections, inspired learning, and shared personal moments; and for 5 weeks every summer we’re home to Camp Goodtimes, a summer program for remarkable kids fighting cancer. 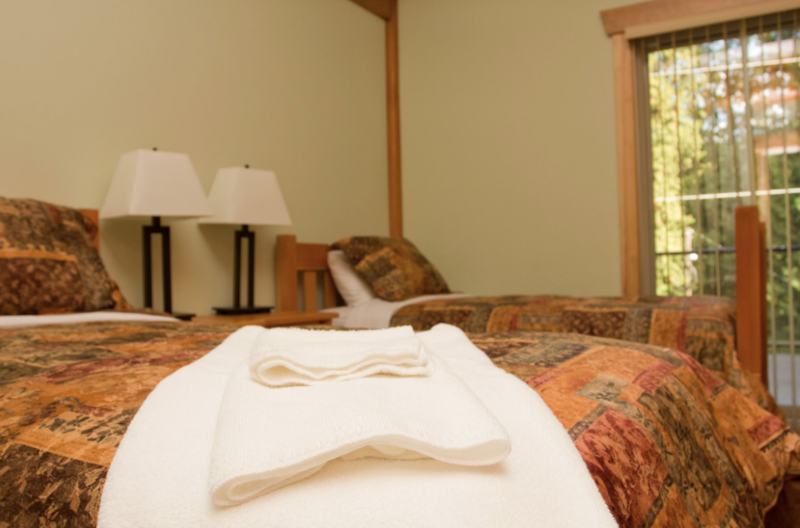 At full capacity, Loon Lake Lodge and Retreat Centre can accommodate up to 174 individuals. Facilities range from corporate-ready Whistler-style accommodations, to well-maintained dormitories that are ideal for students, large families, or those working within a budget. Fresh is what we do best, and our Chefs are known for creating heart-warming comfort food with a flair for the extraordinary. We compliment every group’s unique needs and interests, and we can scale up, and down, depending on the nature of your event, and your collective dietary requirements. In addition to helping design your group’s lodging, conference, and dining needs, we offer exceptional team-building, learning, and leadership programs by way of our partner, Pinnacle Pursuits. We have a modern gymnasium, a variety of nature trails, personal watercraft, a ropes course, a climbing wall, as well as both rock climbing and rappelling options.